"Lev Raphael is a leading figure in American Jewish Literature." "Lev Raphael writes with the precision of a neurosurgeon, the warmth of an ancient storyteller, and the soul of a people that has known the extremes of joy and sorrow, hope and despair, love and hate more than almost any other." 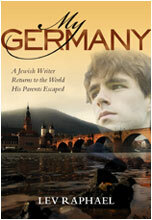 "Part travelogue and part detective story, My Germany is a wholly enthralling, beautifully written story of healing and forgiveness, in which Raphael not only sheds his hatred and fear of Germany but comes to a deeper, richer understanding of his parents and Jewish heritage—and, above all, of himself." 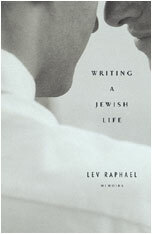 In Writing a Jewish Life, Lev Raphael chronicles with unflinching honesty his struggles to claim both his religious and sexual identities, and the happiness he subsequently found. 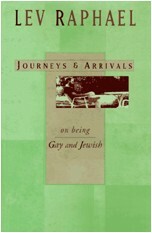 "Lev Raphael has written essays about what it means to be Jewish and gay that put an equally heartfelt and astute emphasis on each element. These essays are as personal as confession and as reasoned as philosophy."